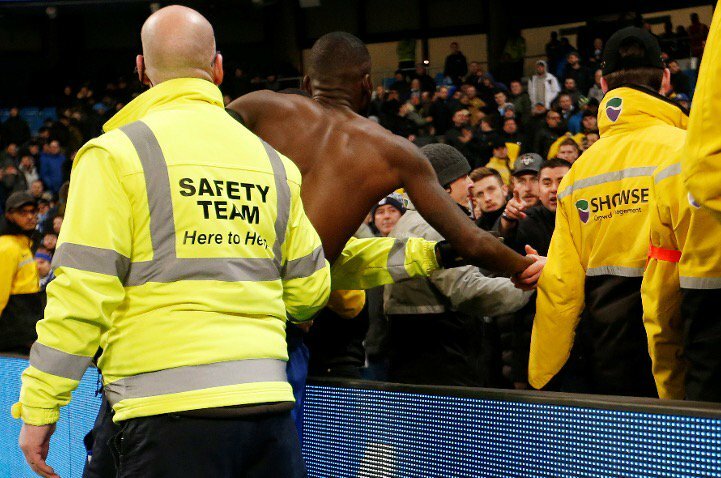 Chelsea defender Antonio Rudiger spent time with the club’s fans present at the Etihad Stadium after the Blues’ historic 6-0 defeat to Manchester City on Sunday. Maurizio Sarri’s side were torn apart by the Citizens with Sergio Aguero grabbing a hat-trick. As almost every staff of Chelsea had gone down the tunnel to the dressing room, Rudiger remained on the pitch. He walked to the away section and apologized to the traveling fans.